An unstable cousin to the highly toxic carbon monoxide (CO) and the benignly common dinitrogen (N2), BF—chemically known as boron monoflouride—has only been studied theoretically, computationally or at extremely high temperatures in the gas phase—until now. 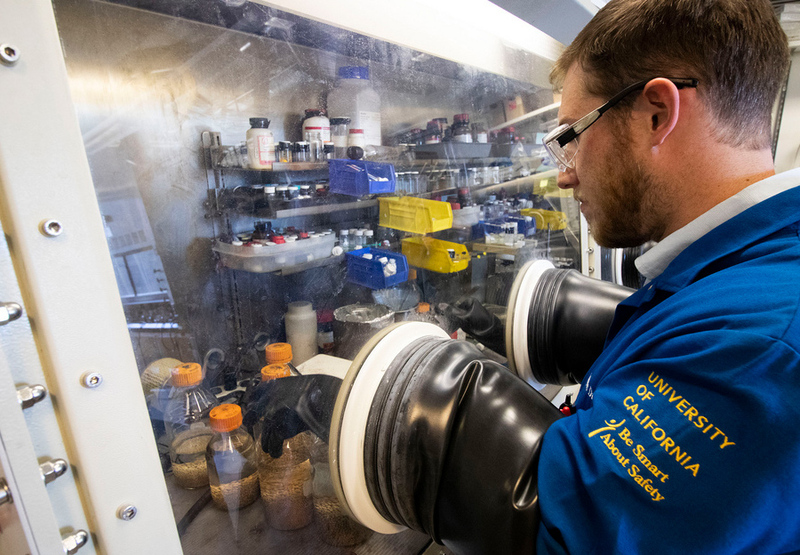 Research by Professor of Chemistry & Biochemistry Joshua Figueroa and PhD candidate Myles Drance, published recently in Science, provides an experimental investigation of BF bound to a transition metal, iron (Fe). Their work enabled direct comparisons of BF’s properties to its more familiar cousins, producing an achievement in fundamental chemistry which means that BF could be used in place of CO, in certain contexts, to fine-tune chemical catalysts in reactions or to access new chemistry. For more than 100 years, inorganic chemists have hypothesized about the interaction of CO and N2 with transition metals. These molecules each have 10 electrons in their outer electronic shell, arising from combinations of 4+6 electrons in the case of CO, and of 5+5 electrons in the case of N2. For decades scientists have only predicted how to generate a molecule with a 3+7 electron combination of light elements, which would have starkly different qualities than either CO or N2. 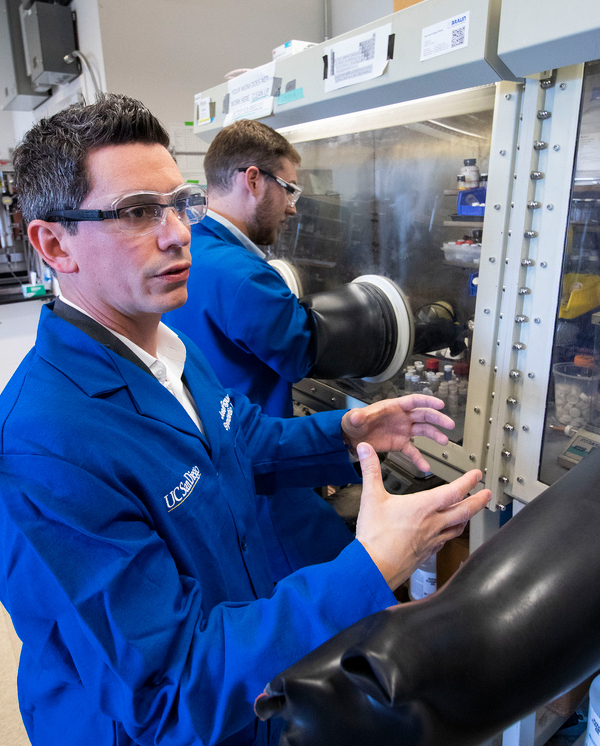 This breakthrough stabilization of BF occurred with the use of ligands—a group of atoms that binds to metal—essentially creating a suit of armor for an iron center, protecting it from further chemical activity. This stabilization allows the highly reactive BF to be built within a secure enclosure, thereby taming it for systematic study. Drance described the scientific process of stabilizing BF as being similar to creating recipes. The scientists conducted several tests of their BF creation, which involved proving that they had indeed isolated a BF-metal compound and systematic comparisons between BF and CO and N2 to show how these simple molecules differ. The work was carried out in a dinitrogen-filled glovebox to prevent the compounds from decomposing in the presence of oxygen or water. They used X-ray crystallography to determine the structure of the compounds and nuclear magnetic resonance (NMR) spectroscopy to gain additional insight about the bonding occurring within molecules. The researchers admitted that they were surprised that they were able to synthesize a BF complex, especially since many other scientists have tried unsuccessfully for decades. This research was supported by the U.S. National Science Foundation (Grants CHE-1802646).